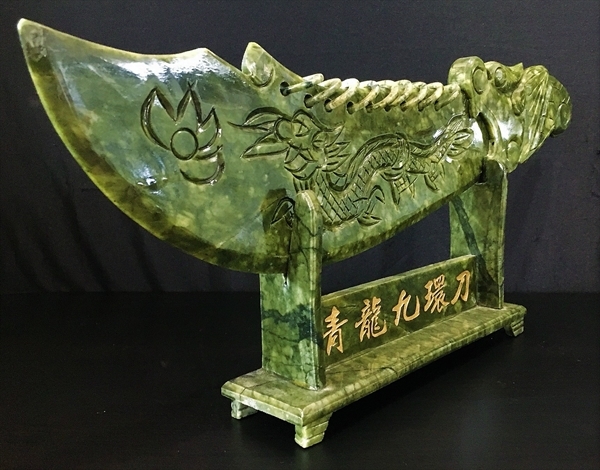 This beautiful piece of art is made from jade. It appears green. 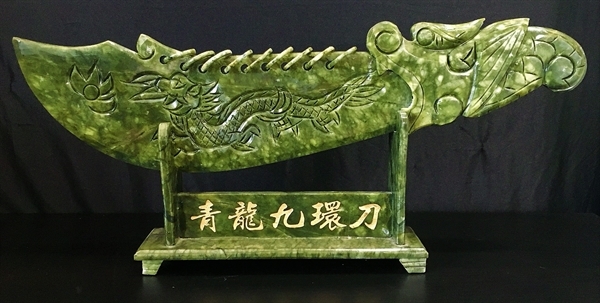 The dragon is carved on both sides of the sword. 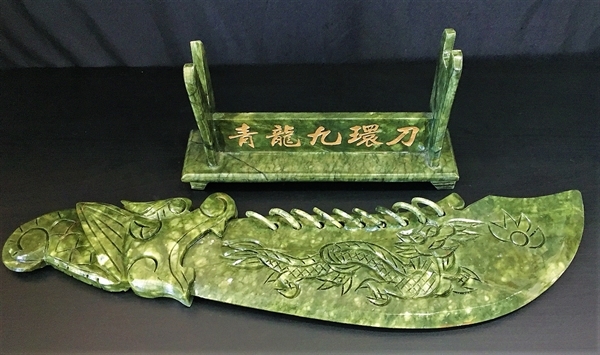 The sword is sitting on a jade base. There are 9 rings on back of the sword, which representing the highest ranking in ancient army. Size: Long: 23", Wide: 3", High: 11".